Shopping for that certain someone on your holiday list who seems to have everything? If they count a PC among their possessions, we have a great collection of accessories that will spruce up the most humdrum computer. None of the goodies on this list are budget-busters. In fact, none of them cost more than $200. Hmm—you might want to leave this page open on your PC, in hopes that someone shopping for you might pass by and see it! Style meets uncontested quality with the $200 SteelSeries Siberia Elite headset. From slick, glowing, adjustable LED lights to the comfortably soft headband, this is a headset you'll want to show off. It’s not just another pretty accessory, either: The Siberia Elite features Dolby Headphone signal-processing technology to produce 7.1 channels of surround sound, plus Dolby Pro Logic IIx to deliver the quietest whispers and loudest explosions without distortion. Be warned: Once you put them on, you won't want to take them off. 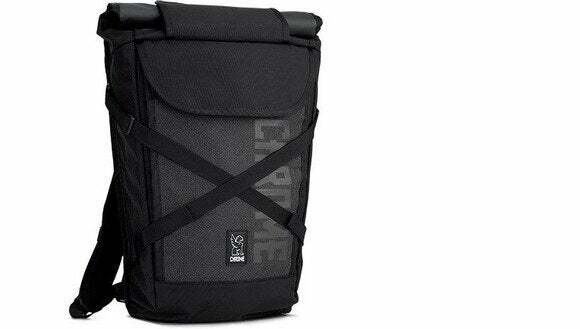 Laptop lovers on the go need a quality bag to keep their PC safe and secure. It doesn’t get much higher quality than Chrome’s $180 Bravo Night. It’s made of weatherproof, 1000-denier Cordura fabric, and it can accommodate laptops up to 15 inches (diagonal screen size). Unroll the top to fit in everything else, from books and groceries to an overnight kit. The reflective surface on the back shines like the sun when light hits it, perfect for the techie biker. It’s the ultimate solution for packing everything a tech lover needs on their way to the office—or a LAN party. A gaming mouse can be an expensive investment, but it’s worth the price tag if you can find the one that fits like a glove. The $150 Razer Ouroboros delivers the ultimate in comfort and functionality. 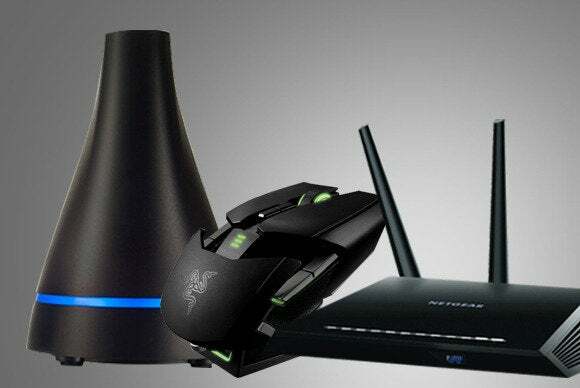 It’s wireless, a rarity for the gaming scene, but boasts a latency-free connection and a rechargeable dock that can double as a wired connection. Its ambidextrous design is good for both left- and right-handed gamers, and it has an abundance of physical adjustments so you can tune it to the perfect comfort setting. When in the heat of battle, you’ll be glad you spent some prep time programming its buttons and dialing in the optimal sensitivity for your style of play. When your hard drive fails—and it will fail—it will take all your cherished photos, videos, and files with it. That's why you should have one of Connected Data’s $199 Transporters on your network. When you save files to your hard drive, the Transporter software will automatically copy them to the hard drive on the network-attached Transporter, even when you're out and about (as long as you have Internet access, that is). It works just like Dropbox, except that your files are always in your control and never sitting unprotected on some company's server. Buy two of these inexpensive devices and keep them in separate locations, and you'll get double insurance against data loss—because they'll sync to each other. If one Transporter is destroyed or stolen, you'll have a full backup on the other one. Your preparedness will put your neighborhood Boy Scouts to shame! Don't let the funky, manta-ray style keyboard and baseball-sized mouse fool you: Microsoft's Microsoft Sculpt Ergonomic desktop is the culmination of almost 20 years of research, engineering, and testing. Most gamers won't like it, but it'll feel great under the fingers of any touch typist. The $130 combo pack includes a keyboard that delivers great tactile feedback, a separate numeric keypad that you can tuck out of the way when you don't need it, and a mouse that will feel like it was made for your (right) hand. When the holiday festivities wind down, you’ll want to frame and share some of the digital photos you snapped. And that’s where the $200 Canon Pixma MG7120 printer shines. It has an integrated Wi-Fi adapter, so you can touch up your photos and print them from your networked PC. It can also read Compact Flash, Memory Stick, and Secure Digital media, if you'd rather print and run. Photo quality is superb for a printer in this price range, and it prints sharp, black text at a rapid pace. It even has a convenient front-loading hatch for the ink cartridges—we just wish they were a little cheaper to buy. Here's one more cool thing: Canon's Pixma Printing Solutions app, which lets you print and scan from your compatible mobile device, and also print from cloud services including Picasa, Flickr, Twitter, Facebook, and Dropbox. Tired of laggy gaming sessions and hiccups in your Netflix streams? You need a new Wi-Fi router, my friend! And you might as well go all the way with one that's based on the draft 802.11ac standard. Netgear's $200 Nighthawk AC1900 Smart WiFi Router boasts a QoS (Quality of Service) feature set that will analyze and prioritize your network's traffic—upstream and downstream—so that lag-sensitive traffic, like media streams and VoIP calls, always get top priority. This is one of the fastest routers we've tested, and it's loaded with valuable features. The new Siberia Elite headset from SteelSeries is not only gorgeous but one of the best-sounding devices on the market. Razer's Ouroboros gaming mouse is kind of hard to say and costs $150, but is readily customizable, lefty-friendly, and performs well. Also, it’s gorgeous. Ambidextrous design caters to lefties and everyone else. Equally capable as a wired or wireless mouse. Screwdriver required for tweaking the design. This three-piece set promotes ergonomic computing while maintaining an unusual and interesting look. The devices are comfortable, functional, and easy to use—after you get over the ergonomic-typing learning curve. Netgear's Nighthawk 802.11ac router boasts a strong feature set, delivers exceptional range, and is reasonably priced. It's the best Wi-Fi router on the market, at least for now. If you’re paying for Dropbox, you should take a long look at Connected Data’s Transporter. It’ll save you a lot of cash over time.